By now you have read a fair share of reviews but we'd be remiss not saying something about IT (2017). One thing that had us ramped to see the film was The Dark Tower (2017). 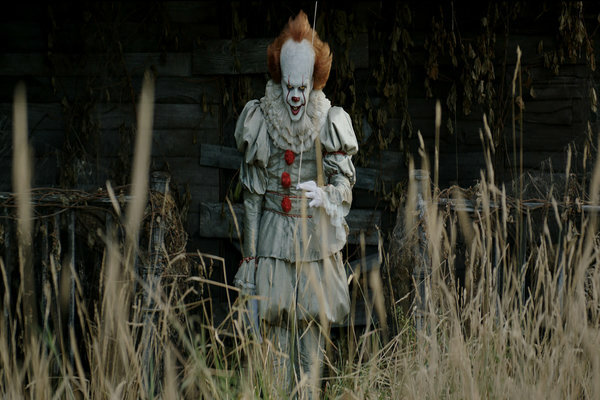 While we didn't see any connections in the film it did not deter from this updated version of Stephen King's terrifying tale. Updated to the late 80's made this version more relatable to the story than what was originally written and the mini series from the 90's. The young actor's portrayal of the "Loser Club" certainly hit it out of the park and almost came off as a group of young adults. The film's 'R' rating is for language any Generation 'X' fan can relate to using when the adults weren't around. This version seemed to stay truer to the book than the mini-series did and there will definitely be a "Chapter Two" considering the box office earnings it did and (SPOILER ALERT) they tell you that at the end of the film. A far as the scares go, there is a good combination of jump scares along with some disturbing imagery to satisfy all horror fans. 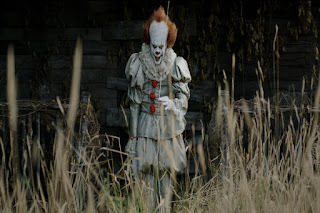 Bill Skarsgard's performance of Pennywise was decent enough for the actor to call his own but if you look for it, there is a small Easter-egg "shout out" to Tim Curry's performance of the clown from most folks nightmares. However, there is another actor's performance that may be more memorable in this new version of the story. Finn Wolfhard's performance of Richie Tozier provides not only comic relief but relatable reactions to the situations he and his friends encounter in the film, especially a child of the 80s. Being cast in Stranger Things may have helped with him in getting him cast in another role for a kid from that time period but this character is memorable, and likely going to be hard to cast the adult version for the sequel. Obviously, we like this movie. 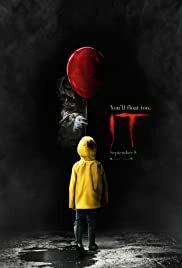 Go see it so you can "float too".